For a single, beautiful moment, all was peaceful at last. Hana is held captive by the Chinese military. Hana recalls a memory from thirteen years before when she was a young girl. 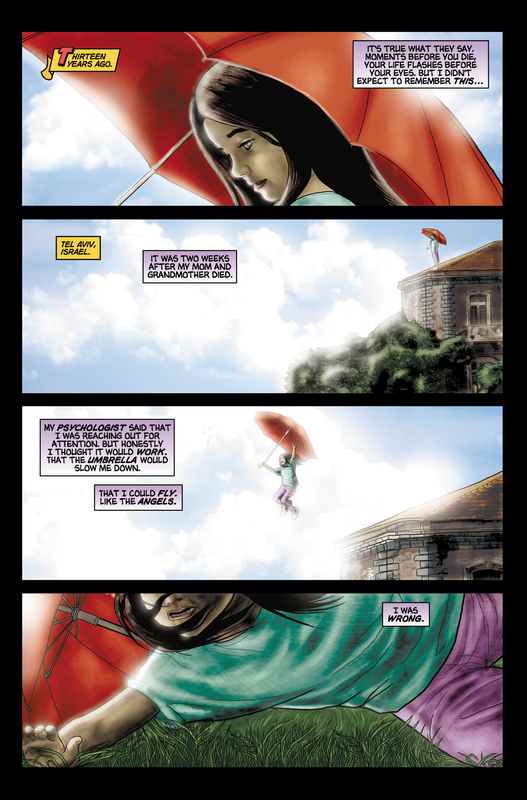 Two weeks after her mother and grandmother died, Hana tried jumping from the roof of her home using an umbrella to slow her down. After she is hurt, she recalls the advice of her father, teacher, and drill sergeant. She also recalls her mission given by Mr. Bennet. 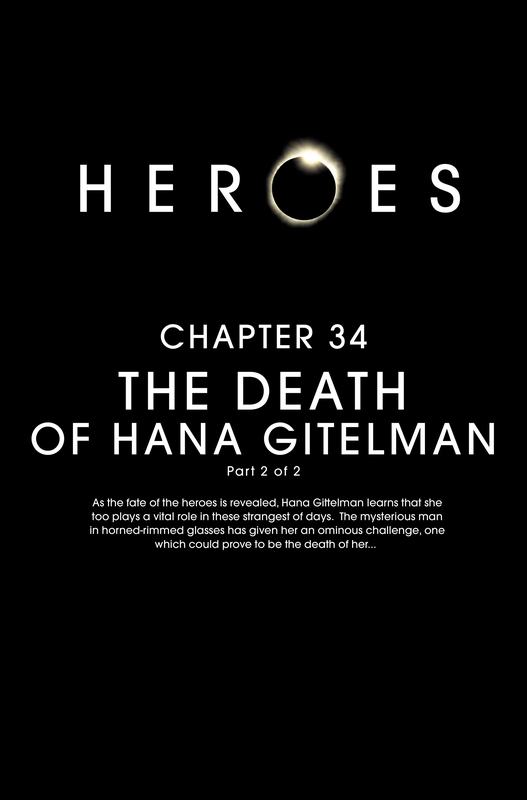 Hana disarms and defeats her enemies at the Hong Kong launch site, then forges e-mails identifying her as Dr. Gitelman from Israel. The Chinese government believes she is there to strengthen diplomatic relations between the two countries. A Chinese official allows her on the space mission. Hana marvels over the view of her planet from the ship. Her ability "kicks in" and she remembers why she is up there. 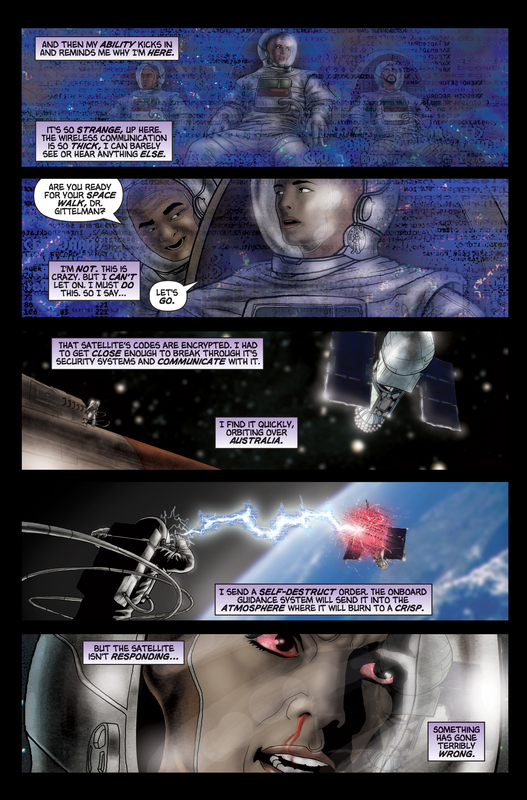 On a space walk, Hana finds the satellite and sends it a self destruct order. The satellite does not respond. The satellite has a defense mechanism: a virus. 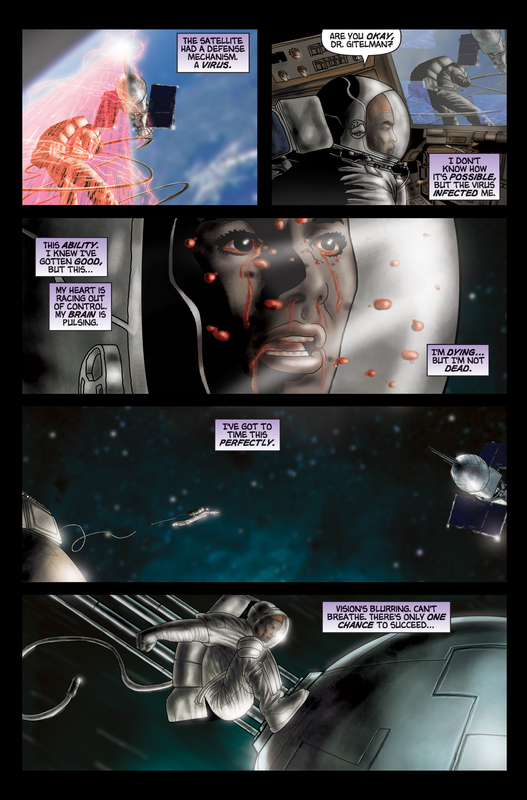 The virus quickly infects Hana and swarms her brain and heart. 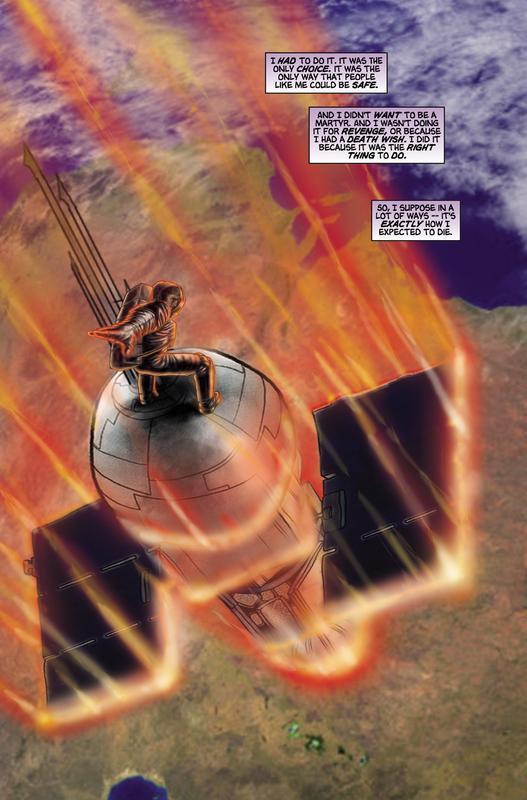 As a last-ditch effort, Hana propels herself onto the satellite and rides it down through the ozone layer over Australia, burning up, and sacrificing herself for all evolved humans. Two days later, a light goes flashing across the sky as Micah and Niki Sanders ponder over D.L. 's health in the hospital. Niki reassures Micah that the doctors are taking good care of him. In his room, Micah chats on his computer with SAMANTHA486e61. 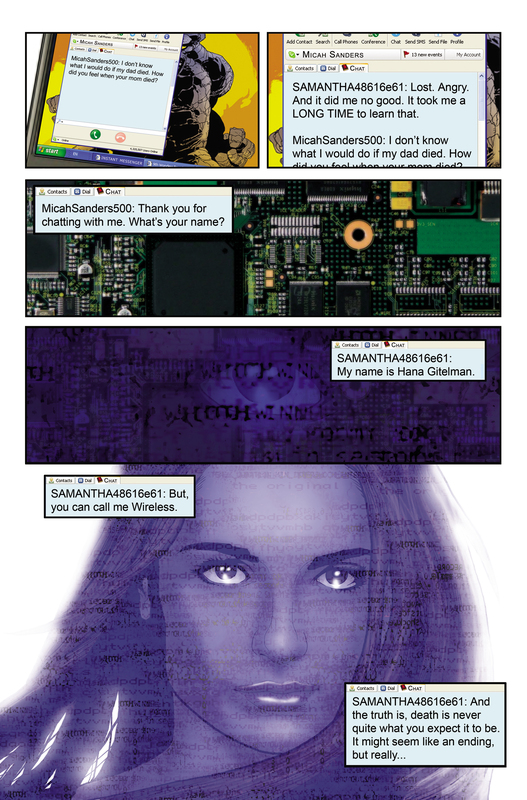 He asks her name and she says it's Hana Gitelman, or "Wireless". She tells him death is never really what you think it is, and that the journey is just the beginning. 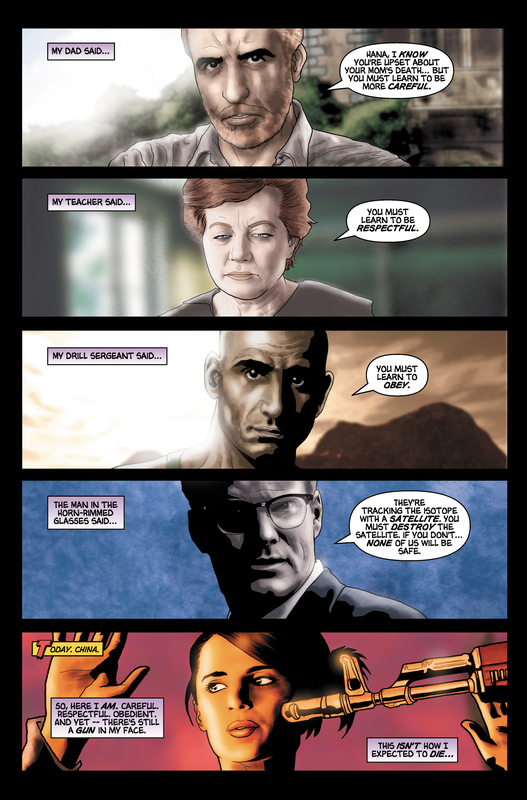 Jason Badower has credited the 9thwonders message board posters with encouraging and inspiring him. To pay them thanks, Jason included them as one of the window tabs on Micah's computer. 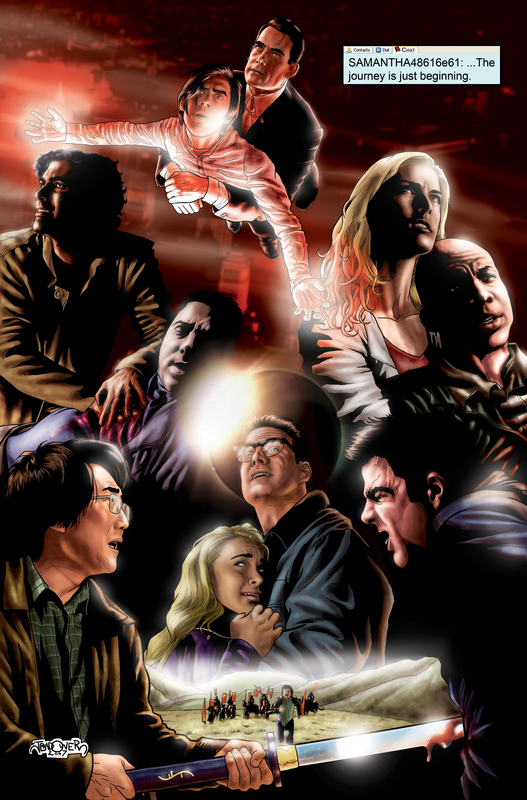 The final frame of the comic shows Hiro impaling Sylar using Kensei's sword. However in How to Stop an Exploding Man, Hiro had left the sword with Ando and taken the nagamaki that Ando bought. 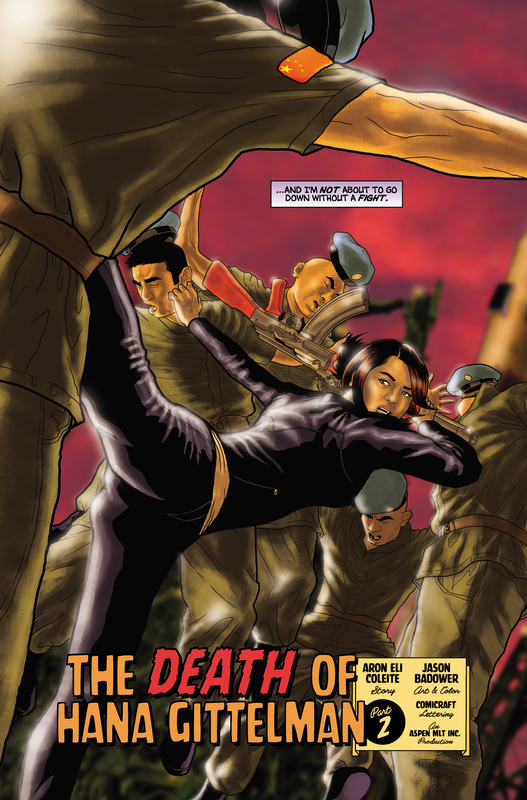 This installment also contains a rare typo: on page 6, when Hana is replying to the head Chinese military officer, "exercise" is misspelled as "excerise". Micah Sanders uses Skype to chat with Hana Gitelman. For images from The Death of Hana Gitelman, Part 2, see images from The Death of Hana Gitelman, Part 2. For Jason Badower's original art from The Death of Hana Gitelman, Part 2 and notes about his work, see here. This page was last modified on 22 October 2015, at 18:57.